Build your own Hurdy Gurdy! — A unique music store in Brown County, Indiana! The incredible Ukranian company, UGears, creates amazing 3D self assembly models that are fun to assemble as well as educational! 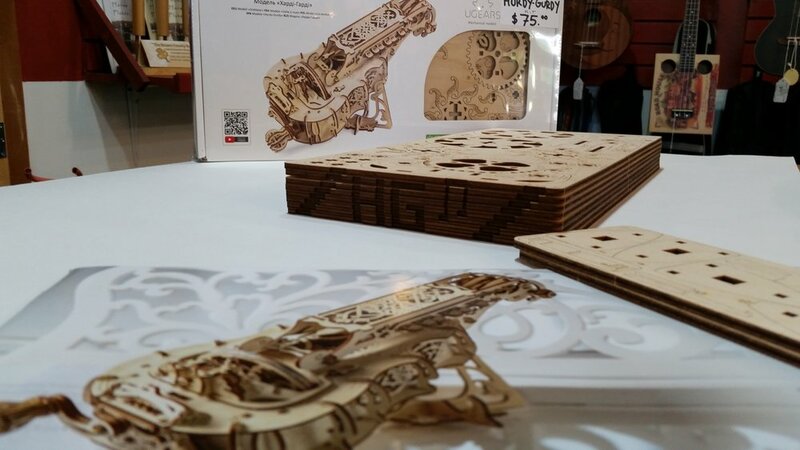 Check out one of their newest creations, and our featured product - The world’s first mechanical musical model, The UGears Hurdy Gurdy!!! Inspired by the art of Celtic and Scandinavian medieval craftsmen, this UGears Hurdy Kit features a highly detailed wooden body that looks remarkably akin to the original 16th century hurdy gurdy, giving it a wonderfully medieval aesthetic. And while this model brings you hours of fun in it’s creation, it also creates a fully fledged musical instrument for even more hours of fun! FRIDAY FEATURE SPECIAL THIS WEEKEND - 10% OFF!